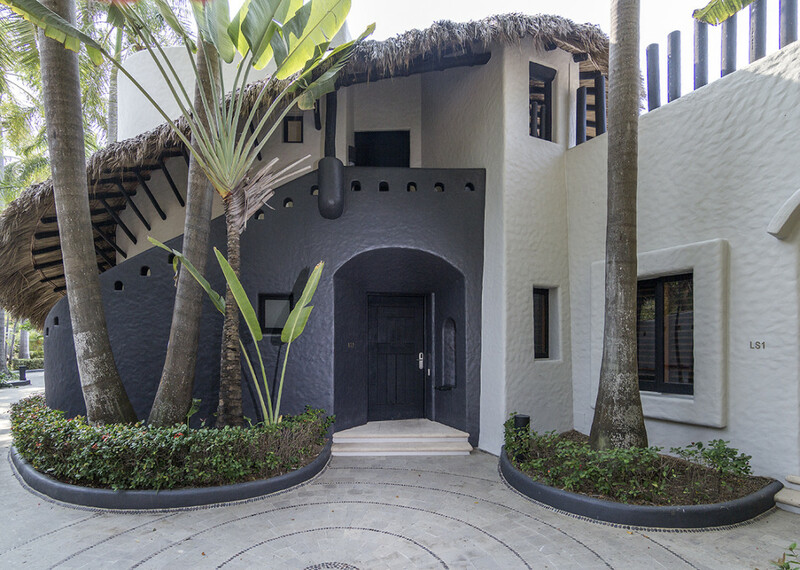 A Sophisticated Experience in an Authentic Beachfront Locale. 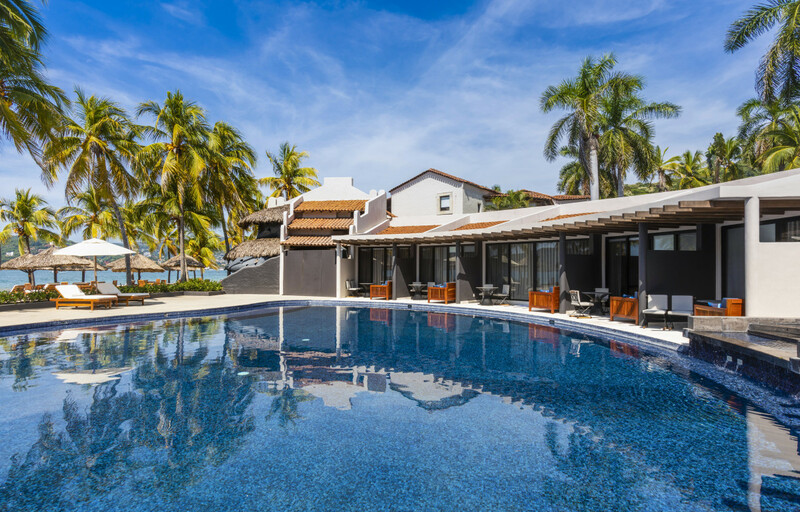 Just outside the charming fishing village of Zihuatanejo, you and your guests will arrive and unwind to the serenity of a remote beach setting with the amenities and style of a beautiful resort. 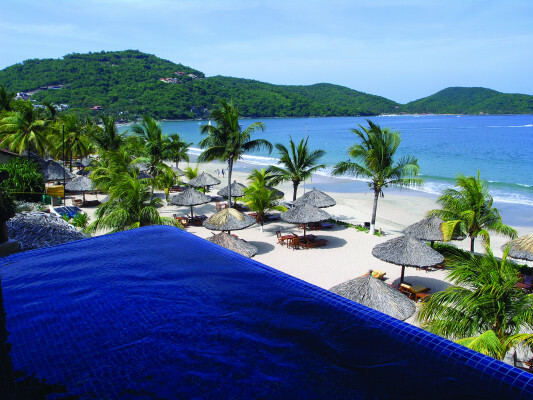 Retreat to one of our thatched palapas on the sand, walk or jog along the beach, or roam the lush landscape, punctuated by cool waterfalls and tranquil lagoons. 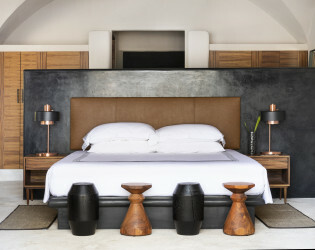 For Pacific Coast chic infused with a relaxed Mexican vibe, Thompson Zihuatanejo sets the stage for life’s great moments — and lifelong memories — with inspiring sunsets shimmering across a gorgeous bay as your backdrop, and gentle waves and tropical breezes as your playlist. 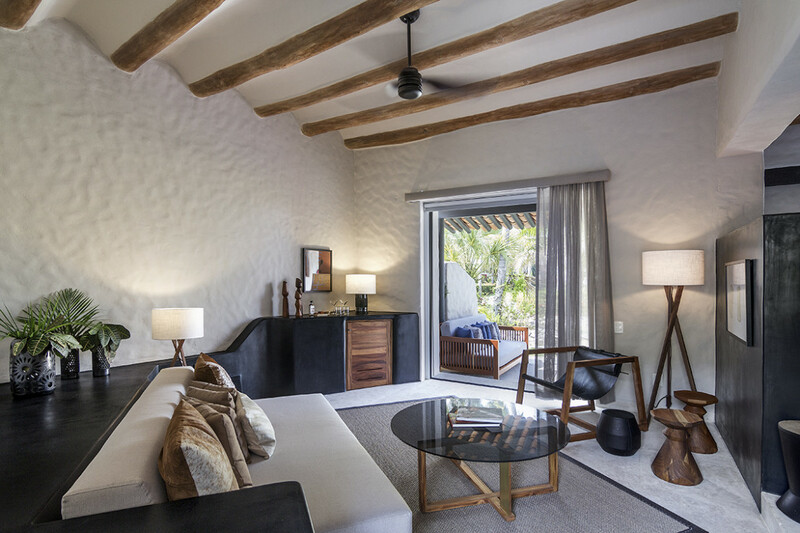 Inside our newly renovated suites and guestrooms, framed by rustling palms and coconut trees, airy and spacious guestrooms and suites offer separate living spaces with private terraces and plunge pools with beachfront or lagoon views. 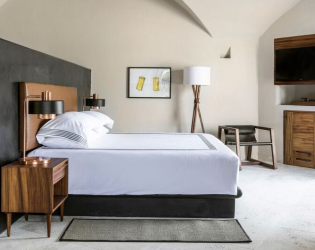 We’ve accented Thompson’s renowned mid-century aesthetic with parota woods, brass details, clay light fixtures and contemporary Mexican artworks — for sophisticated style that strikes a delicate balance between old world and new, with a subtle urban spin. Premier Wedding Venues: Zihuatanejo’s cherished golden sunsets come alive from Thompson’s prime beachfront locale — with sweeping front-row vistas from the magnificent bay to the sparkling waters of the Pacific — and offer an unrivaled backdrop for your ceremony and reception. 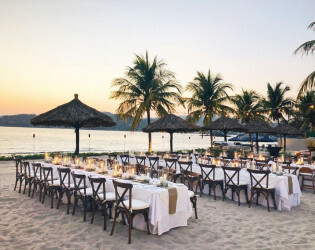 Your possibilities are virtually unlimited — for weddings and social events on the beach, alone together under a palapa on the sand, or in the privacy of your suite, we’ll help you host a Champagne toast, plan a sunset ritual, create a special dinner, and light the bonfires for an evening revel. 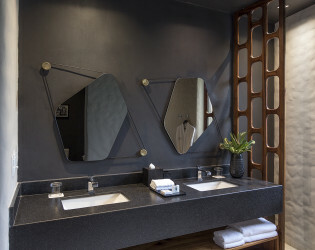 Based on the number of guests, we do have a minimum room requirement as well as a food and beverage minimum. In addition to the rates, there is a 19% tax and 15% service fee on rooms. 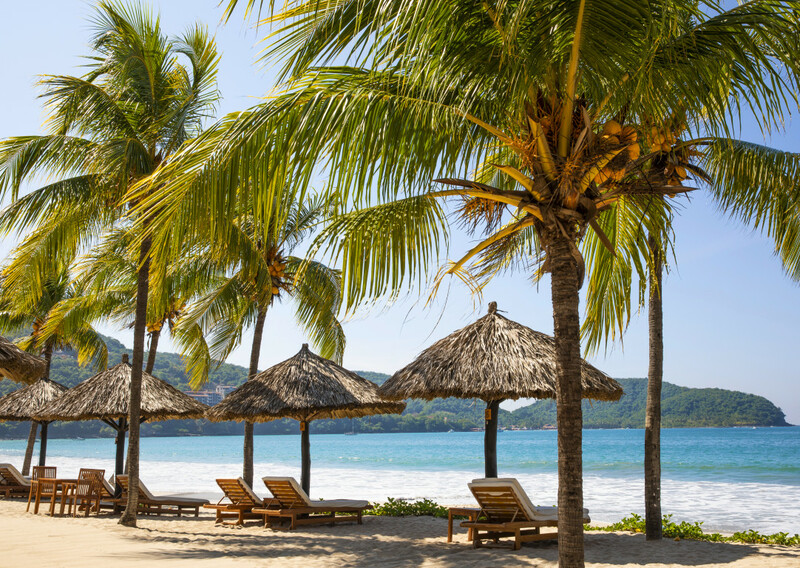 Food and beverage tax is 16% and service fee is 18%. The culinary team offers immersive programming for guests including a “Shop with the Chef” experience, where guests accompany Chef Baltazar to the local outdoor market to select ingredients and then join the culinary team on the beach for an interactive cooking class and meal, and tequila and mezcal tasting with curated selections. Situated along the white sands of Playa La Ropa, the best swimming beach on Mexico’s Pacific coast, Thompson’s refined beachfront luxury will elevate your destination wedding or event with a sophisticated take on the usual Zihuatanejo-Ixtapa hotel and resort experience. 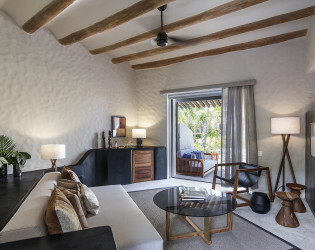 Here, your guests can unwind to tranquil waves, roam a lush jungle landscape punctuated by cool waterfalls and tranquil lagoons, and relax in the privacy of one of our swim-up suites with private plunge pool. 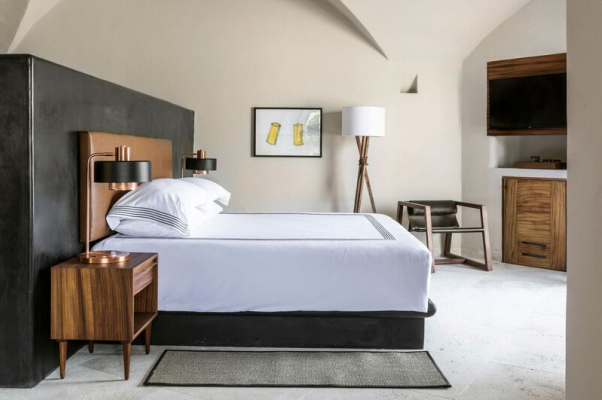 Inspired by the region’s natural beauty, Thompson Zihuatanejo’s entirely redesigned accommodations and public spaces expertly blend Thompson Hotels’ signature mid-century modern style with traditional Mexican art and architecture. 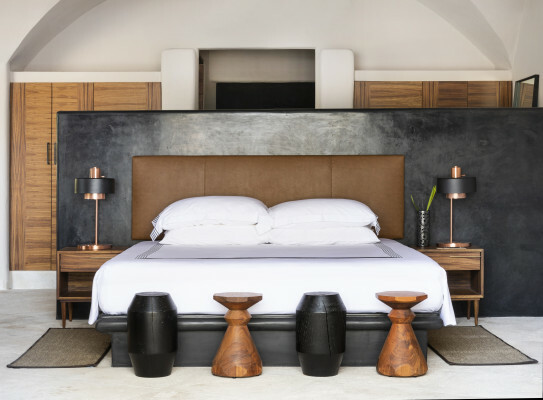 The resort’s 56 guestrooms and suites—overlooking Mexico’s Pacific coast and surrounded by lush gardens and a meandering lagoon—each feature distinct living areas, private balconies or terraces, and most include private infinity plunge pools. For those traveling with friends and family, the hotel offers a select number of two-bedroom suites including the Thompson Suite with an outdoor entertaining area complete with wet bar, and two Beach Suites with views directly overlooking the bay (all with private plunge pools). The property also features 11 distinct Swim-Up Suites, each with its own outdoor rain shower and terrace, and exclusive access to a shared, private pool—an ideal room choice for weddings and special events. 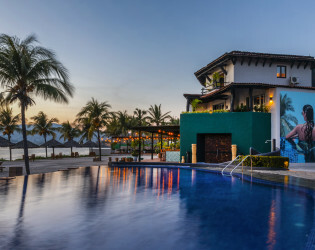 In addition to the exclusive Swim-Up Suite pool, Thompson Zihuatanejo offers an adults-only oceanfront infinity pool and a family-friendly option with swim-up bar. 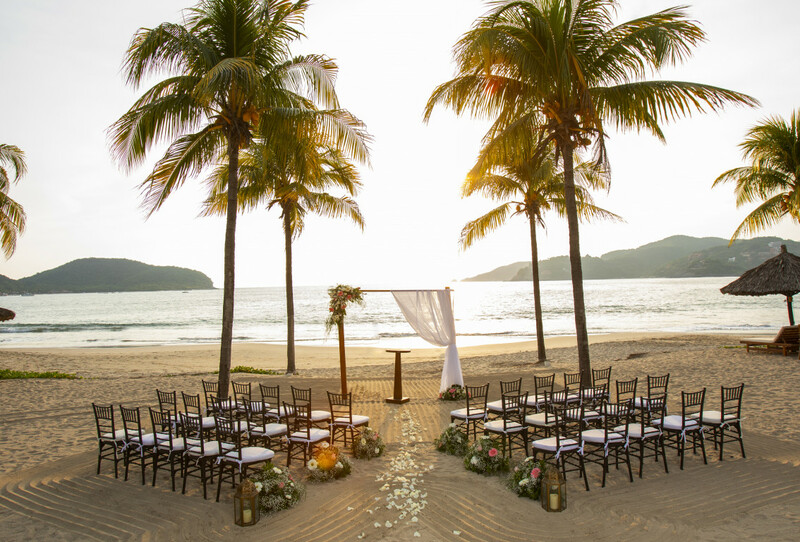 Zihuatanejo’s cherished golden sunsets come alive from Thompson’s prime beachfront locale — with sweeping front-row vistas from the magnificent bay to the sparkling waters of the Pacific — and offer an unrivaled backdrop for your ceremony and reception. 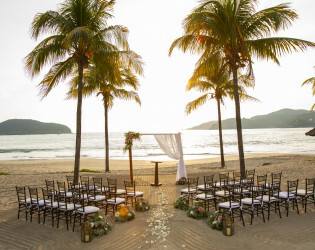 Your possibilities are virtually unlimited — for weddings or social events on the beach, in the garden, alone together under a palapa on the sand, or in the privacy of your suite, we’ll help you host a Champagne toast, plan a sunset ritual, create a special dinner, and light the bonfires for an evening revel. 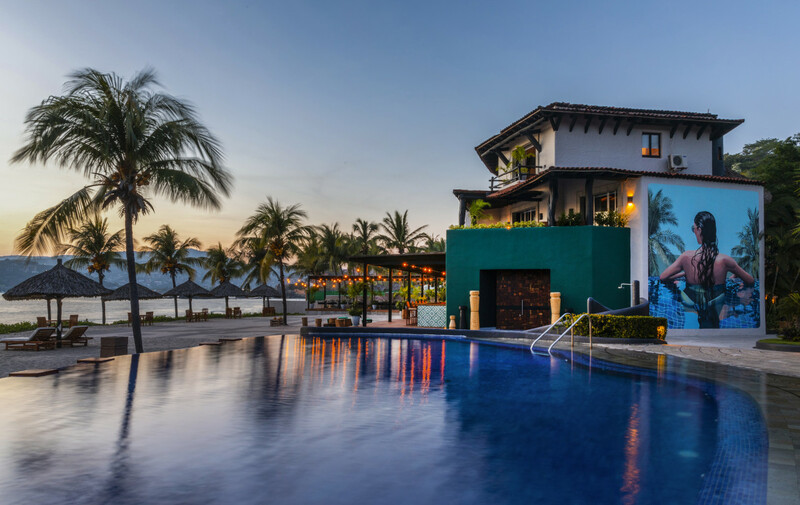 Thompson Zihuatanejo’s regionally inspired culinary program is led by acclaimed Chef Miguel Baltazar (a National Finalist in Mexico’s annual “Chef of the Year” competition). Chef Baltazar draws inspiration from the area’s indigenous fire cooking traditions while selecting seasonal ingredients from the hotel’s organic garden and working with local fishermen to source the fresh seafood featured on his menus. 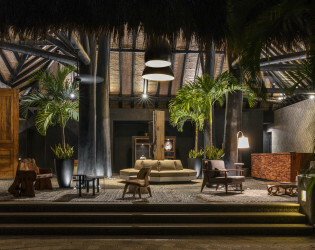 The hotel’s culinary centerpiece, CENIZA (translating to ash in Spanish), offers an al fresco dining experience inspired by cooking with smoke, ember, and fire, with many dishes prepared in Chef Baltazar’s handmade roasting cage (a metal frame placed over a fire pit intended to caramelize produce and meats and lend a signature fire-roasted flavor). In addition to à la carte options, CENIZA offers a four-course tasting menu with each course inspired by these elements of fire. 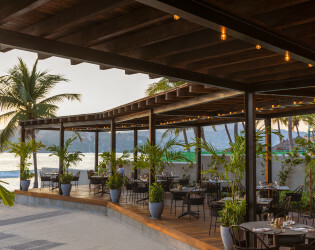 Accompanying CENIZA is the resort’s lively day-to-night restaurant and beach club HAO (translating to ocean wave in the ancient Nahuatl language). 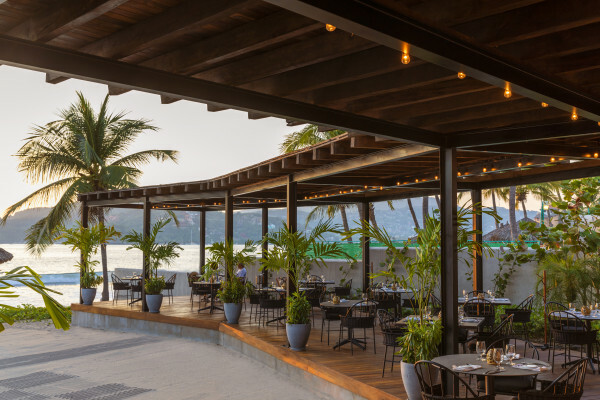 With sweeping views of the ocean, this beachside restaurant and lounge offers breakfast, lunch, and dinner daily, transitioning at night to feature Thompson Hotels’ signature take on sophisticated nightlife. 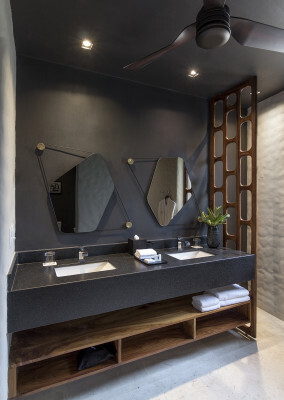 Inspired to take traditional wood-fired cooking techniques to new heights, Chef Baltazar found the perfect name in Ceniza, the Spanish word for ash. 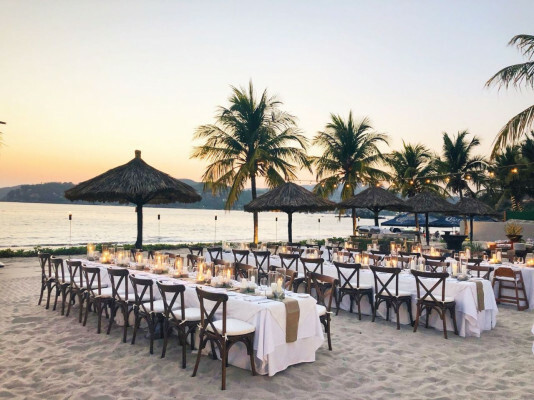 Under a palm-thatched palapa, you’ll be enchanted with Ceniza’a open-air, candlelit ambiance and enticed by a menu crafted daily from the wide array of ingredients sustainably sourced by the chef from our surrounding region. 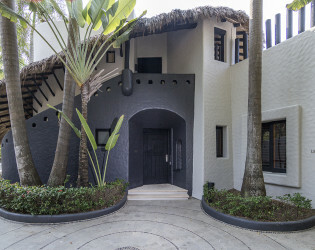 Also features a bar area. 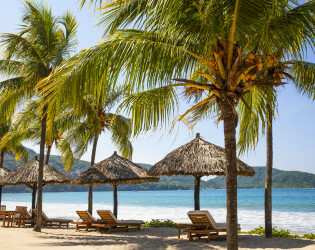 On the beach. 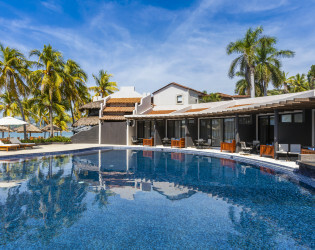 By the pool. 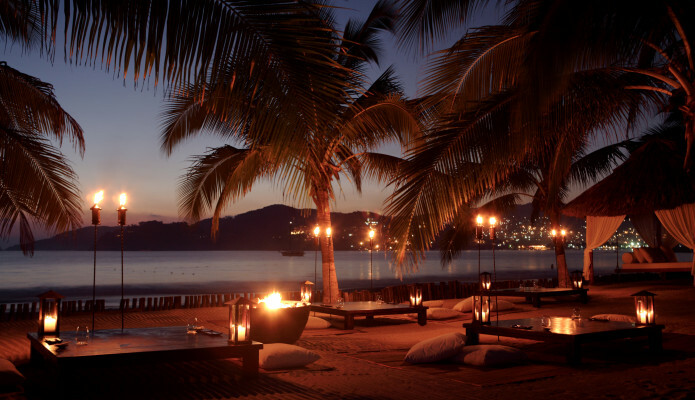 Or at the restaurant. 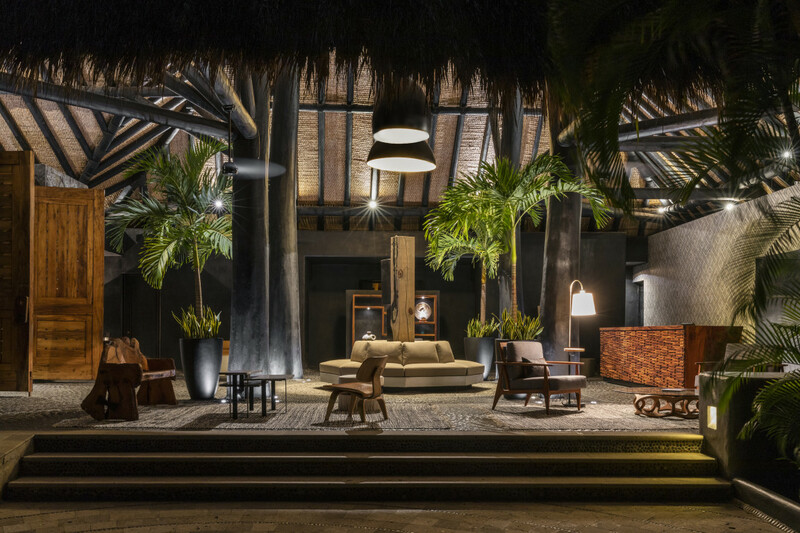 The choice is yours at Hao, where a dynamic, all-day menu — and seasonal cocktails handcrafted with fresh local ingredients — perfectly complements the sun, sand and surf of Playa La Ropa. 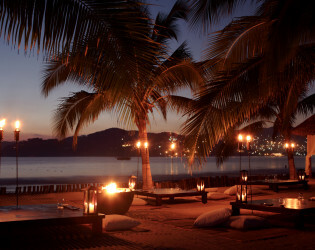 Discover the fascinating and ever-changing world of Mexico’s national spirits as our Agave Aficionados bring their history and aromas to life in a private tasting tour across a selection of fine tequilas, mezcals and fresh-daily ceviches of snapper, mahi-mahi, tuna and more from Zihuatanejo’s Paseo del Pescador. Available upon request, these tastings are also well-suited for special events and large groups.